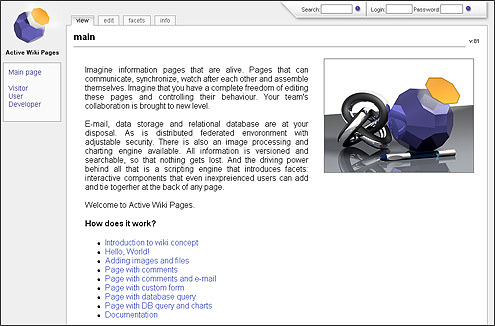 Imagine information pages that are alive. Pages that can communicate, synchronize, watch after each other and assemble themselves. Imagine that you have a complete freedom of editing these pages and controlling their behaviour. Your team's collaboration is brought to new level. 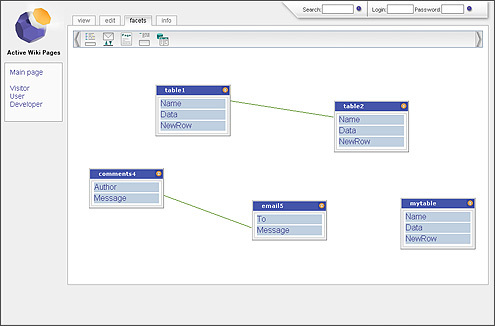 E-mail, data storage and relational database are at your disposal. As is distributed federated envoronment with adjustable security. 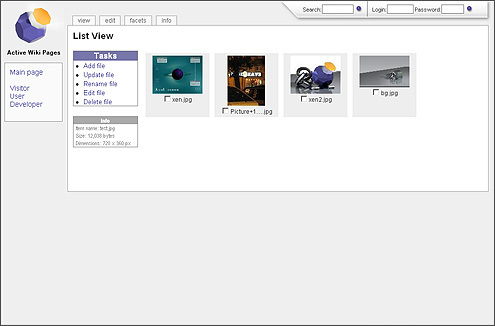 There is also an image processing and charting engine available. All information is versioned and searchable, so that nothing gets lost. And the driving power behind all that is a scripting engine that introduces facets: interactive components that even inexpreienced users can add and tie togerher at the back of any page.